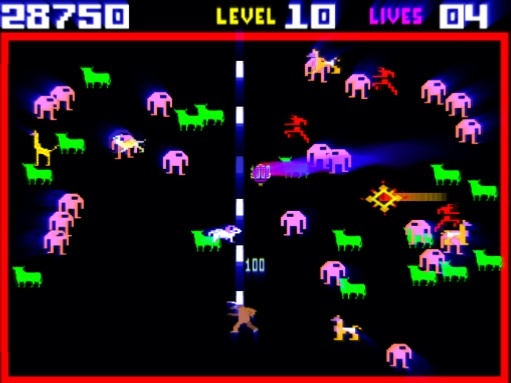 Trust the Minotaur for fast-paced arcade action. Legendary game designer Jeff Minter returned to the App Store with another retro inspired arcade game, and if you guessed that it stars a Minotaur, congratulations, captain obvious. 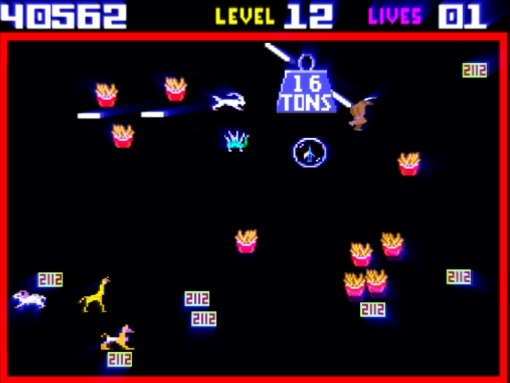 Minotron: 2112 is a modern day update to the 1991 PC hit, Llamatron. It's essentially the same off the wall experience, with hundreds of enemies, power-ups and angry beasts, but with trippy graphics. Although it plays similar to its predecessor, Minotron: 2112 reminds us of the arcade hit, Robotron: 2084. It's a multi-directional shooter that tasks you with clearing a screen full of bad guys to advance to the next stage, except the controls will be a make or break, depending on your level of patience. It's a weird combination of movement and shooting, but not in the traditional sense, as both the left and right stick handle moving and shooting at the same time. It takes a while to get used to. On the positive side, Minter included four modes tailor made to different tastes. Normal forces you to run and fire, while Assisted gives you an indestructible helper droid to pick up some of the slack. Hard is just that, insanely difficult, while Simplified handles shooting automatically; all you have to do is move around. There's also a bunch of power-ups that give the Minotaur an advantage in combat, from three shot bursts to one item that causes the character to grow several times its size, imbuing the creature with temporary invincibility. It all comes down to finding the game mode that's right for you and then immersing yourself in what is one of the App Store's weirdest but still enjoyable Apps. That said, it certainly won't be for everyone, but at $1.99, Minotron: 2112 is a worthwhile purchase, especially if you have a soft spot for games from the 80s. What's Hot: Four different game modes, addictive retro gameplay, universal download.